"We're tremendously proud of this cloth, which was woven in Italy to our exact specifications (from a wonderfully soft mix of wool and cashmere, no less). We're so proud, in fact, that we're using it for our finest outerwear of the season: I proudly present our three-button overcoat. Smooth, soft and delightfully warm, this is the only coat your Winter needs." A quality wool piece which I will wear soon. Such a classic design. It was too short, more of car coat than an overcoat. Response from Charles Tyrwhitt: Thank you for providing feedback. I'm sorry to hear you're disappointed with the length of this overcoat. 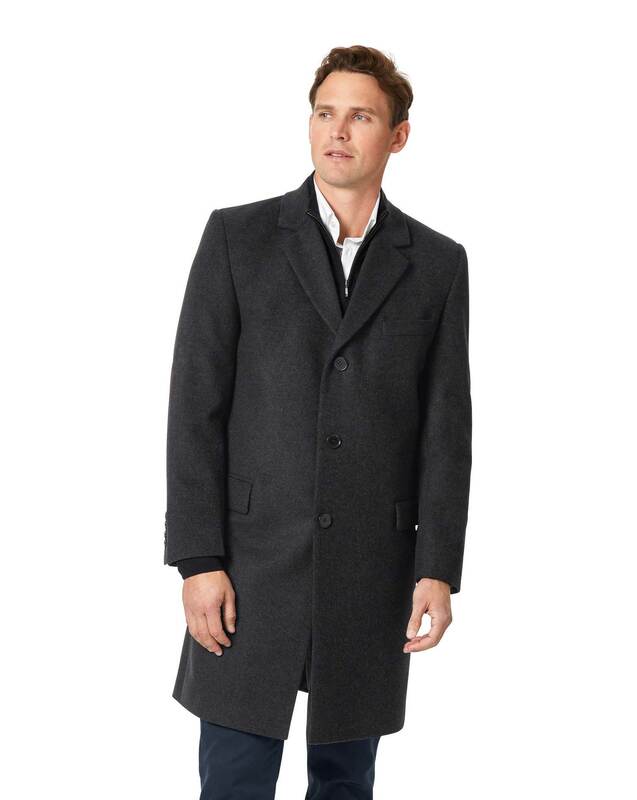 We do offer our overcoat's in a longer length but sadly we are sold out in your size. I can see you have already processed a return for this product and we have completed this for you. Lovely fit and look. Very stylish. Quality materials.